Perhaps the holiday weekend shopping season is not the best time of year to visit the Cheesecake Factory. Shoppers tend to get hungry and even at a well oiled machine like the CF, little things are sacraficed to meet the greater demand and keep up with the never ending lobby of guests. Little things suffer, like my burger. I would first say, that it may have been my mistake to order the burger as there are so many other great things on the menu. But my fellow diners didn’t want to go to The Fox and Hound English Pub & Grille where burgers are more common dinner fare. 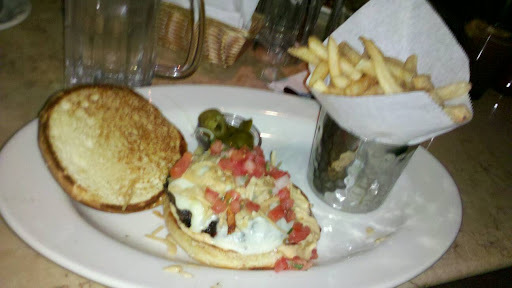 So alas, my CF burger was overcooked and served on a bun bigger than the burger. I would have prefered a burger from the Ross Park Mall food court, but I wouldn’t have been able to have my Blue Moon draft. My fries were over salted. Overall, it was a meal, but not something I would order again from CF. Next time, I’ll get a crabcake.